On the first day of the fall semester, among the usual notes welcoming students back to campus and reminding them of advisement deadlines, one email landed in students’ inboxes with a different message — a letter from USC Chief Health Officer Sarah Van Orman. The letter, dated Aug. 20 and addressed to the Trojan Family, announced that a “new era in outstanding student health” is underway on a campus still reeling from reports that a campus doctor had been abusing students for decades. Since a Los Angeles Times report in May uncovered over 30 years of sexual abuse allegations against Tyndall, more than 380 people have sued USC. Amid outrage from students, faculty and alumni, the University opened an investigation into its response, restructured the Board of Trustees and removed President C. L. Max Nikias. Now, at the start of the new academic year, the University has introduced changes at the Engemann Student Health Center in an effort to rebuild trust among the student body and prevent behavior like Tyndall’s from occurring. But some students, whether individually or as part of organizations like Undergraduate Student Government, are taking matters into their own hands. 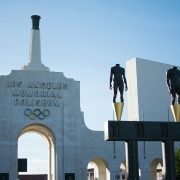 “USC is at the brink of major culture change, and I think change can also start with one person,” said USG President Debbie Lee. In her letter, Van Orman announced that USC is “strengthening … communications to students about their rights and responsibilities” by introducing a guide to sensitive medical examinations, requiring medical assistants to be present for certain appointments and providing a phone translation service in multiple languages. She stressed that student health staff received “extensive” training on complaint reporting over the past year and that concerns about physicians would be reviewed immediately by the health center’s leadership. Since the Times’ report about Tyndall, USC opened an online feedback form for students to report concerns with the quality of care at the health center. In addition, the University hired two female gynecologists to replace Tyndall, who was suspended in 2016 and forced to resign following an internal investigation into allegations. Van Orman, who joined the student health staff in August 2017, said these steps are part of an ongoing effort to rebuild patients’ trust. Anne Michels, one of the two newly hired gynecologists, graduated from Columbia University College of Physicians and Surgeons in 2000 and completed her residency at New York Presbyterian Hospital in 2004. She spent 14 years at Kaiser Permanente, treating patients and reviewing complaints to improve care. In March, Michels applied to practice gynecology at Engemann, but when news of Tyndall’s misconduct broke, she said she had to think more carefully about what she wanted to accomplish. “I thought … maybe I should take this awful, upsetting thing that happened and try to make a big change, make a difference, make the quality of the protocols and the care experience better,” Michels said. 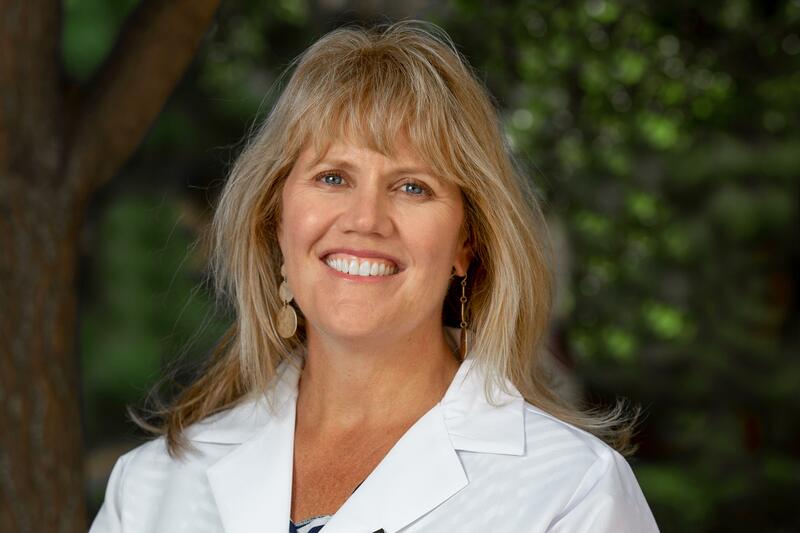 Michels along with USC’s other new gynecologist Deirdre Logan, will have a role that includes talking to students about contraception and sexual health, testing for sexually transmitted infections and performing routine exams necessary for women’s health. Michels said she will help educate patients on what to expect in any of these scenarios and help build the patients’ trust with Engemann staff. Meanwhile, hundreds of current and former students who have accused Tyndall of unprofessional or abusive behavior are suing the University. Mai Mizuno, a senior majoring in international relations and philosophy, politics and law, was one of the last patients to see Tyndall before he was placed on administrative leave on June 2016. Then a freshman, Mizuno went to Tyndall for a consultation on a brand of birth control she takes to alleviate her migraines. He recommended that she get a pelvic examination done since she’d never had one before. When Tyndall took her to the examination room and asked her to undress, Mizuno said she remembered that there was no chaperone with them. For the next two years, Mizuno remained silent about her experience with Tyndall and started seeing a gynecologist off campus. A few weeks after the Los Angeles Times report came out, she joined a class-action lawsuit against the University, from which she found a “cohort of fellow students [and alumnae] who had undergone this similar trauma.” Mizuno was also one of the women interviewed by the district attorney’s office, which is preparing a criminal case against Tyndall. Board of Trustees Chairman Rick Caruso announced that USC is investigating its response to the allegations against Tyndall, and has hired law firm O’Melveny & Myers LLP to conduct the investigation under attorneys Apalla Chopra and Steve Olsen. Chopra has represented universities in legal challenges such as Title IX and Clery Act investigations, as well as sexual assault allegations. According to her website, Chopra has represented Claremont McKenna College in lawsuits that challenged the enforcement of the institution’s sexual misconduct policy. She also led a summary judgment victory for Harvard University in a Title IX lawsuit alleging that the school “failed to respond appropriately” to a student’s sexual assault allegations. Mizuno commended Van Orman’s letter for establishing measures for greater transparency and accountability at Engemann, but said that she will “believe it when [she sees]” changes come to fruition. In response to the allegations against Tyndall, students like USG Sen. Michaela Murphy have also taken action. She aims to work with USG to update the resources listed on the back of the USC ID cards to include contact information for the Relationship and Sexual Violence Prevention and Services. According to Lee, USG collaborated with the Graduate Student Government and the Office of Campus Wellness and Crisis Intervention to host three “connection sessions” open to students during the first and second weeks of the school year, with the last one taking place on Aug. 29. The sessions allowed students to have discussions about the events that occurred, as the news broke during the summer when most students were not able to immediately come together for support, Murphy said. 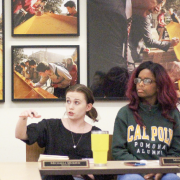 The Student Assembly for Gender Empowerment, Murphy said, is also planning to host another open forum sometime in September, though an official date has yet to be announced. Aside from USG, Murphy has been updating the Society of Women and the Law, of which she is president, to have each month spotlight a certain area of the law. For September, she chose to highlight sexual harassment and assault case law, which she said was most relevant to USC and the news about Tyndall. Throughout September, attorneys and speakers will talk about their experiences in the club meetings. She also plans to rent out The Lorenzo movie theater to host a screening of “Seeing Allred,” a documentary detailing the life of renowned women’s rights lawyer Gloria Allred, who is also representing women against Tyndall and USC. But for the first Student Conversation on Aug. 30, Carry said that issues specifically relating to Tyndall’s conduct could not be discussed due to the ongoing nature of the investigation. University leaders met with students to discuss approaches to student health. The former USC gynecologist cannot practice medicine while the state medical board makes its final decision regarding his license.